Wow, that came as a shocker. Admittedly, I’ve never given the show a chance because I’m just not a fan of Katie Sackoff’s acting, but I know the show did really well. Okay, so their ratings went from 6 million viewers per episode in season one to 4 million viewers per episode by season three, but many shows that do much worse stay on the air. I’m not sure what A&E are thinking, 4 million viewers is still a serious amount of viewers! Were you a fan of the show? 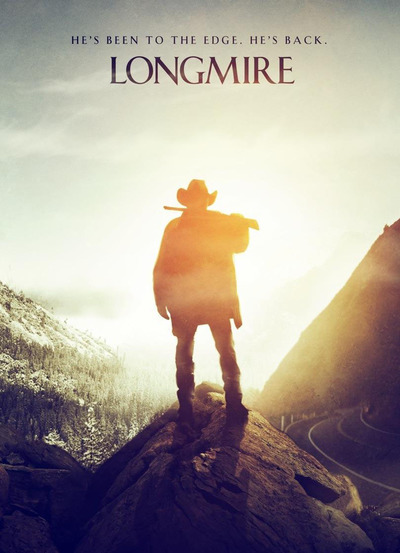 Longmire is shopping for a new network, will you be excited if it gets picked up? I may not have been into this show, but I don't like good shows being cancelled. Fox does this all the time and it drives me crazy, and worst of all, Longmire was doing really well in the ratings. I hope someone else picks the show up, even better, I would love to see a streaming service like Netflix get it. I've never even heard of it before. There seems to be many shows you don't get there, Bryony. That or they are just not available on the subscription I have. I've never heard of this either, but I loved Katee Sackhoff in Battlestar Galactica, so I might actually check it out. Have watched a few episodes; enjoyed what I saw! Nice an Aussie is in lead role. Do like seeing Lou Diamond Phillips at anytime! He's always been a good actor. Hope it's picked up by another network, as said above, there're worse shows still being made.